This series provides training for investigators who wish to increase community participation within their research. This training aims to help investigators build a foundation to better understand how to fully engage the community in the research process – beginning with the research question. This series is offered in partnership with the Seattle Children’s Center for Diversity and Health Equity and the Fred Hutchinson Cancer Research Center Health Communication Research Center. This seminar series welcomes investigators at all stages of their career as well as a research assistants and research coordinators who conduct clinical, translational, or health services research. Researchers from Seattle Children’s Institute, the University of Washington, Fred Hutch, and other collaborating institutions are welcome to attend. Sessions are held in person at the UW School of Medicine, South Lake Union campus. Many funders, including the National Institutes of Health (NIH), look for community engagement within grant applications. Investigators increasingly need to be familiar with how to include this important work as a part of their grant applications. This training will help you better understand how to incorporate community partners when writing grant applications. Learn about roles and responsibilities, helpful language in demonstrating partnership, drafting a community-engaged research (CEnR) budget, and how to demonstrate the contribution of CEnR in your grant application. Due to the high level of interactive training, this series is available as a hands-on, in-person experience only. Describe the value of the community in a grant proposal that includes community-engaged research (CEnR). Identify successful CEnR components in a grant application. Discuss the role of the community during the writing and submission process, pre-award and post-award. Tumaini Rucker Coker, MD, MBA, is Associate Professor of Pediatrics at the University of Washington, Director of Research at Seattle Children’s Center for Diversity & Health Equity, and Principal Investigator at the Seattle Children’s Research Institute Center for Child Health, Behavior and Development. Dr. Coker serves as co-director for the ITHS Integrating Special Populations program. 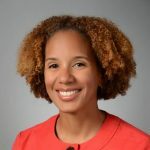 Dr. Coker’s research focuses on community-partnered design and investigation of new and innovative methods of delivering primary care services to children in low-income families. She practices primary care at Odessa Brown Children’s Clinic. Linda Ko, PhD, is the director of the Health Communication Research Center (HCRC). She is a behavioral scientist with expertise in the development, testing, evaluation, and dissemination of health communication strategies. Her work draws from the discipline of communication, marketing, social epidemiology, and social and behavioral sciences. 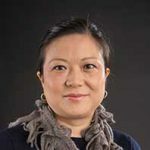 Dr. Ko serves as co-director for the ITHS Community Engagement program. Her research aims to understand community’s behavior within the socio-cultural context, develop interventions that will address those behaviors and translate knowledge through community-based participatory research. Please sign in below to access this form. Access to this form is restricted to ITHS Members. Please sign in, or create an account. Please do not use acronyms; enter the full name of your institution or organization. Be sure to include your first name, middle initial (if desired), last name, and all credentials. Please do not use acronyms; enter the full name of your department. Important Note: A temporary password will be assigned and emailed to you. A major challenge for academic researchers is how to translate their work into academic productivity. In community-engaged research (CEnR), there are key strategies that can help you transform this process into important academic outputs such as grant writing, scientific journals, presentations at scientific conferences, networking, and collaboration. During this session, we will describe best methods for publishing community partnership development work, including community-academic partnership building, formative research, and intervention development. Identify ways to transform the community-engaged partnership process into academic productivity. Identify barriers to academic productivity and find solutions to address those barriers in the next six months. Identify ways to operationalize community-engaged research (CEnR) skills into an area of expertise.